In honor of Breast Cancer Awareness Month, I made a card that I'd like to dedicate to everyone (women and men) who have ever gone through breast cancer, as well as the families who helped support them. The image is an older set from Doodle Pantry called I Will Survive. Laurie also has two really awesome ribbon sets (Special Ribbons and the brand new Special Ribbons Additions). You should really check them out. They are for honoring those with all different illnesses. Also, there are still two days left for you to take advantage of the SALE going on at Doodle Pantry. Today you can get 25% off your order using coupon code DAY3TAKE25 or tomorrow, you can get 20% off your order using coupon code DAY4TAKE20. Very cool card; never seen this image before, but it's such a fun image. 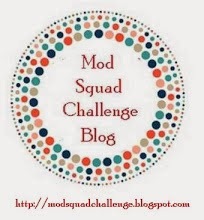 Thanks so much for linking up to LLC's PINK challenge. How creative and well done. Fabulous card, Susan. Love your "clouds". A very unique and cool ribbon card. I really like this card. It is uplifting and filled with a bit of humor as well. Anyone receiving this would feel better just seeing it. Hi Susan, first of all let me say thanks for telling us how you made this card. I freaked out when I saw the cut ribbons for clouds - how totally fun is that! Love that creativity! This is a great set from Doodle Pantry! 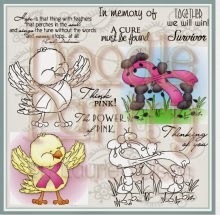 Thanks so much for joining us and showing us this card at the Karleigh Sue "Breast cancer" challenge. Good luck and I hope you will come back and join us again! Fantastic card Susan, I love that image! Thanks for joining us in the Think Pink challenge over at The Crafting Cafe this time! Very pretty card! I love the cut outs, Thank you for playing with us at SisterActCard Challenge! Great details, image and Card. Thank you for sharing your beautiful work at TTCRD this week. Great card and yes we need a cure. Love the ants. Thanks for joining us at Aud Sentiments. This is a beautiful creation with great details and perfect for our ‘ANIMALS’ challenge. Thanks for sharing your talent with us. Good luck. That is sooo cool how you did the ribbons! Great card with those little ants! This is so cute and well colored. I love your cards. Just became a new follower. Lovely card - and brilliant use of a Silhouette! Thanks for joining us at The Crafting Cafe this 'think pink' month, and good luck!